… and now the rest of the story! Thought you might like these questions and answers from some students in the Horse Tales Literacy Program. in the Gadsden Elementary school district. We are located in San Luis, Arizona. to ask of you in regards to your father’s book. regards to writing and literacy? Arizona Deserts 4th grade class. Bill served as a veterinarian in the Army Equestrian Corps, there were many horses used in battles at that time. If you have seen the movie “War Horse” it shows the pain and tragedy of that war, and Uncle Bill’s job was to keep the horses sound and fit. One evening a cry went up that the base camp was being attacked and Bill jumped out of his tent to see a lone man on a huge black horse charging toward him, bomb in hand!! Bill knew that if the solider managed to throw the bomb many of his friends would die and he had to do something NOW. He raised his pistol and fired without hesitation. The shot killed the rider instantly, before he had a moment to react, and he and his bomb fell to the ground harmlessly. Uncle Bill had saved the camp, his friends and officers, he was a hero! The Captain of the base was so impressed by Bill’s swift action he asked him what he wanted as a reward. Uncle Bill knew exactly what he wanted – that Huge Black Stallion! From then on the German horse and Bill were inseparable – traveling all over Europe as war raged and, like Alexander The Great’s horse Bucephalus, he saved Uncle Bill’s life more than once. Finally the war finished and it was time to go home. Like thousands of other soldiers Bill made his way to France where he was to board a ship back to America. When he arrived he soon learned there was no room for his most important possession, his horse. He had to make a painful decision – his family or his stallion. Bill found a farmer in a nearby town who would take his beautiful black stallion and with tears in his eyes he left Black with the farmer, promising to return soon. It was years later before Bill could get the money to go back but that big horse was a treasure he wasn’t going to lose! His big stallion became the sire of many fine race horses for Uncle Bill, who treated him with love and care for the rest of his life. This is the way the story was told to me. 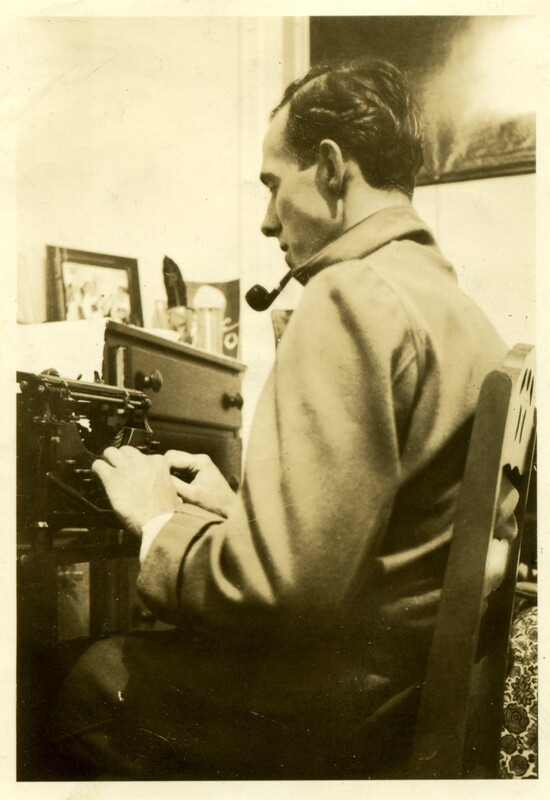 I believe this family tale and Dad’s wish to be an adventurer created Alec Ramsay. Often as my father would run on the beach, he was a track runner in school, and I would wonder who he was – Alec or the Black? He seemed to be both of them at different times but his fascination with horses of all types and that special feeling of connection between human and animal was a constant. Dad didn’t want sad stories about horses, books like “Black Beauty” and later “King of the Wind”, he wanted exciting adventure and wild horses! The Black Stallion gave him the ability to meet people in all walks of life from jockeys and trainers to presidents, kings and movie stars. He was able to ride the Black Stallion around the world doing what he like best – having adventures and writing about horses. You never know where your dreams might take you! I grew up with my dad’s closest friend, the Black Stallion, and he was a real part of the family. Dad was able to own a few horses later in life but that special mystery horse was the BIG brother of the family. 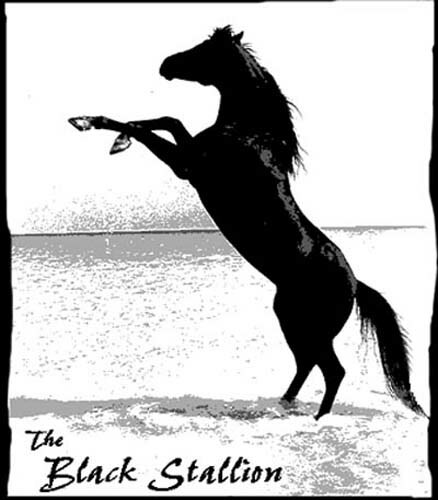 When I was just out of college I started working on the Black Stallion films as a photographer (attached pix). That was an fantastic adventure that took me from the race tracks of California to the Sahara desert in Africa. 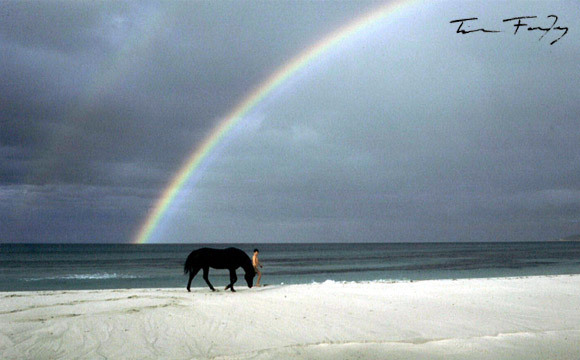 I worked with many exciting people and saw magic come to life – like the rainbow scenes at the end of the Black Stallion film. We started our literacy program with family friend Mark Miller and Al-Marah Arabians. Mark was best friends with my sister Pam and she is the inspiration for the books “Black Stallion and the Girl” and “Black Stallion Legend”. 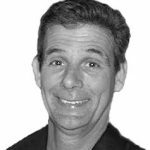 Mark had a wonderful horse theater, Arabian Nights, in Orlando, Florida and I always hoped we could do something together. 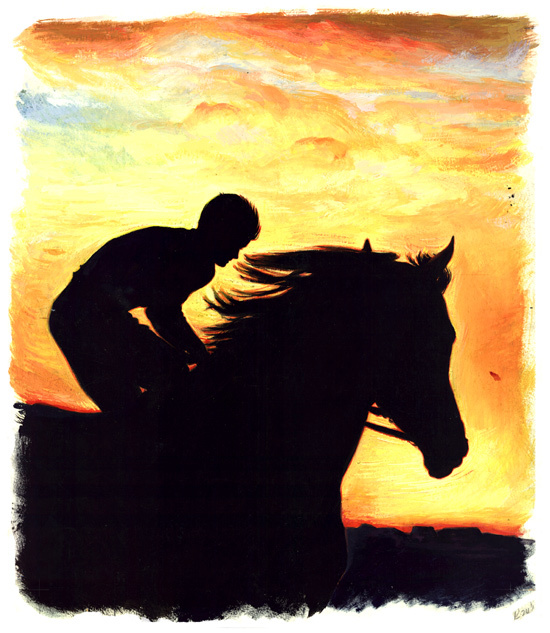 Horse Tales started as a small idea that used my dad’s books and his horses to tell a story that made reading fun. It was hard at the beginning but after the first year we knew we couldn’t stop – too many teachers and students enjoyed the program. We’ve now had over a million students participate in ten states and three countries. We have contests and discussion about horses, writing, movies … all kinds of topics. Thanks for writing … and reading!